On display in the Museum at Radio Mocambique in Maputo. There were 15 short wave and medium wave antennas which were used to broadcast the Portuguese and LM Radio transmissions. This is the master control room where pre-recorded programmes were loaded onto tape players which were remotely controlled from the on-air studios. Technicians in this facility would load up tapes according to the programme running schedule. On the left of the studio console there is a bank of lever switches which were used to start and stop the corresponding tape player. 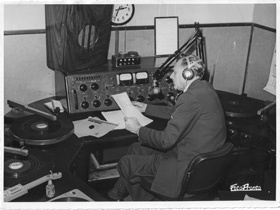 Many of the LM Radio programmes, such as Rob Vickers Teen Beat / Dial a Tune, Clarke McKay and David Davies recordings were laid down in the Johannesburg studios and then sent to LM where they were played out. The control console in this photo is a Collins broadcast console. It is uncertain when the Collins equipment was replaced by the RCA consoles. This card shows LM Radio was received in the USA on the 25 metre band while transmitting with a power of only 7.5 kW. 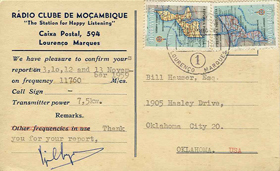 A QSL card is often sent by a radio station to confirm a listener's reception report. The card usually shows the technical details of the reported transmission, such as time, frequency and transmitter power. 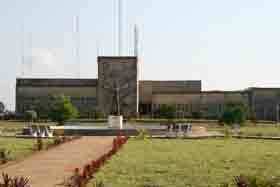 The building houses 19 shortwave and medium wave transmitters, most of which are now decommissioned. The original building is the on the left and housed 7 SW and 2 Medium wave transmitters. A further transmitter hall was later built which accommodated a further 8 transmitters including the LM Radio 50 kW 917kHz transmitter. 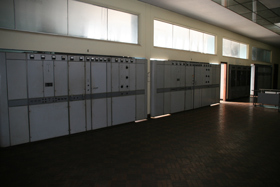 In 1970 a further extension was added at the back of the main transmitter hall to accommodate two new 125 kW short wave transmitters that went on air in 1974. 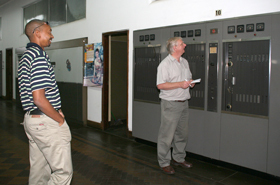 Hermen Mula (Radio Mocambique) & Chris Turner inspect this 10 kW transmitter which broadcast LM Radio's 90 metre band transmission until the mid 60s when it was replaced by a 25 kW Philips transmitter. This one was then used to broadcast the D programme on 3338 kHz. To the left of this transmitter can be seen a Continental 418C 100kW SW transmitter which was used on 3210 kHz and 15295 kHz for the Portuguese A programme. The main control desk is an RCA broadcast console. The announcer's chair ran on rails so that he could gain quick and easy access to the 6 turntables - three down each side. In the mid sixties two turntables, one on each side, were removed and replaced with NAB "Cart" machines that were used to play jingles and commercials. 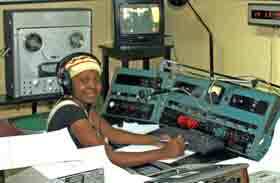 This studio is in daily use for the Radio Mocambique English service known as Mocambique Corridor Radio. 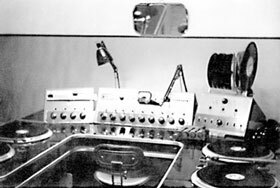 Two reel-to-reel tape machines have been added above the two remaining turntables. These are used to play news, promos and other short programmes. Musical programmes are computer based or played from CD, however vinyl is occasionally used. This card shows that LM Radio was transmitting on 3265 kHz on the 90 metre band with a power output of 25 kW. 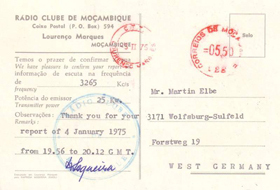 In 1974 Radio Clube de Mocambique operated 5 medium wave and 14 Short Wave transmitters from the Matola transmitter site. 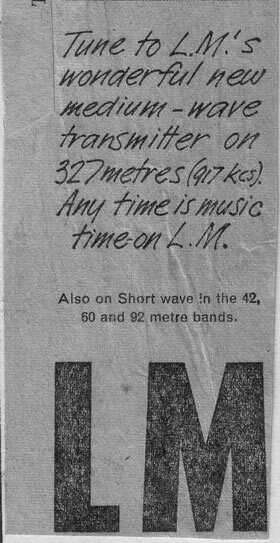 Note: Until some time in 1970 LM Radio (also referred to as the B programme, broadcast in daylight hours on 1358 kHz to Lourenco Marques. Later this frequency was used for the C programme and LM broadcast at a reduced power of 250 Watts on 917 kHz during daylight hours and high power after 15:00 hours. 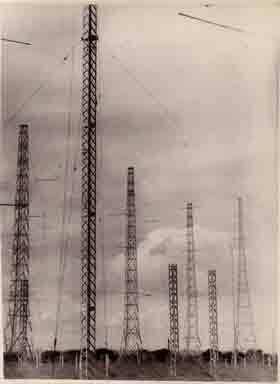 In 1939 RCM had four transmitters, 1 or 10 kW, 1 of 600 Watts and 2 of 300 Watts, all operating on Short Wave. 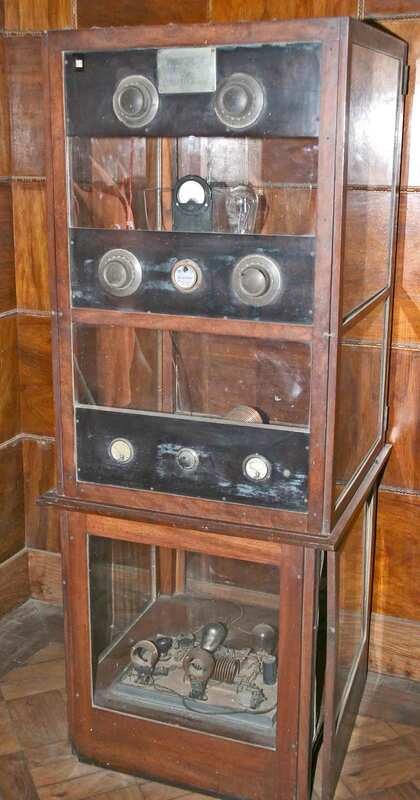 These transmitters were time shared by the English and Portuguese services. 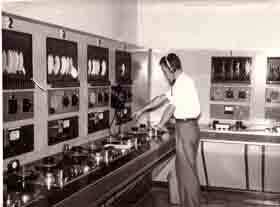 In 1947 there was a major investment in transmitting facilities and LM Radio was separated from the Portuguese service. By 1954 the transmitter line-up consisted of a 2 medium wave transmitters and 9 Short wave transmitters. LM Radio's medium wave transmitter operated on 927 kHz at a power of 7.5 kW and 5 short wave transmitters each of 7.5 kW. The Portuguese service had a 0.3 kW MW transmitter in LM and 4 short wave transmitters, 2 of 7.5 kW and 2 of 10 kW. In 1955 there was another major investment with the purchase of 4 new RCA 10 kW short wave transmitters and in 1956 LM Radio was to get a 100 kW Brown Boveri Short Wave transmitter which was commissioned in Aug '56. In July 1960, LM Radio and the Portuguese A programme were both given new 50 kW medium wave transmitters. 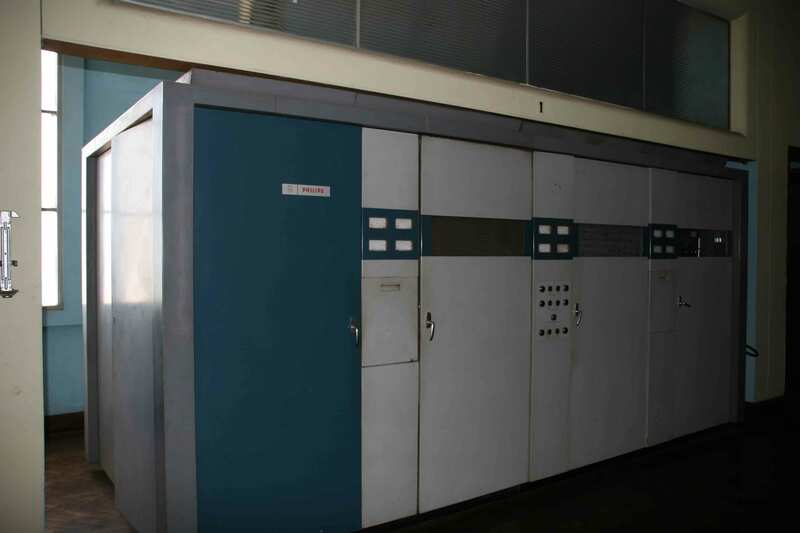 In the period 1965 to 1968 a Gates 20 kW and 3 Philips 25 kW short wave transmitters were added. The new transmitters were used to improve LM Radio's signal into South Africa while the existing transmitters were put into service to add Portuguese services and coverage. Over the years there were minor frequency changes to accommodate the Geneva international broadcasting band plan and also hours of transmitting on the various frequencies were adjusted to suit the seasons and changes in the Solar cycle.